Today we’re featuring our Social Tuesday guest post by, Sana Ahmed. I’ve watched Sana blossom from a college graduate to a topic expert on Google plus, content strategist and social rock star. I’ve been taking notes and thought it was time for her to share how entrepreneurs can utilize G+ as a business tool. Google plus is the most underutilized business tool that entrepreneurs, professionals, good conversationalists, casual and formal end users can use to their advantage. To help users truly utilize the Google+ experience, I put my trainer and strategist hats on to help people think about the platform in ways they may be overlooking! Google plus is a social networking site integrated with other Google products to allow for people to connect and socialize using the best of Google products. It begins with a Google account, most likely your gmail account. Hundreds of millions of gmail and android users have access to Google plus, making it an active and engaging online network. While being compared to other social networking sites, Google+ is called a ghost town which is a major mistake by content celebrities on popular blogs. 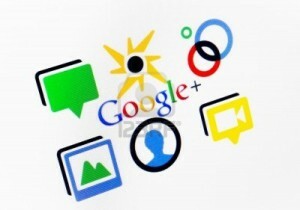 Google plus has all the bells and whistles to be used as both a business and leisure tool. It’s user interface is so clean and minimal, that it makes it a joy to use. The Google+ Integrations section below further discusses that. Google plus is indeed a social networking site like Facebook and Twitter but it is entirely its own beast. Twitter is meant for microblogging whereas Facebook is the online after party that engages users in a casual and informal way. One can argue that Linkedin is the true business social network uncomparable to any other product. I would agree in the sense that Linkedin is a professional networking site that allows entrepreneurs and professionals to interact in a more formal way. But Google+ is that perfect hybrid network that allows for casual and professional maneuvering given a particular online interaction. It begins with sharing a comment on the top right of your screen. Writing and leaving comments on other walls is a first step to engaging on Google plus. The neat thing here is that unlike the “Like” button on Facebook, there is a +1 button that you can click on any media content here. This in turn shapes your Google+ experience, allowing Google’s algorithms to know what you like or don’t like. (Because a few infamous writers did not understand this at the wake of Google plus birth in summer 2011, they wrote it off as a ghost town). 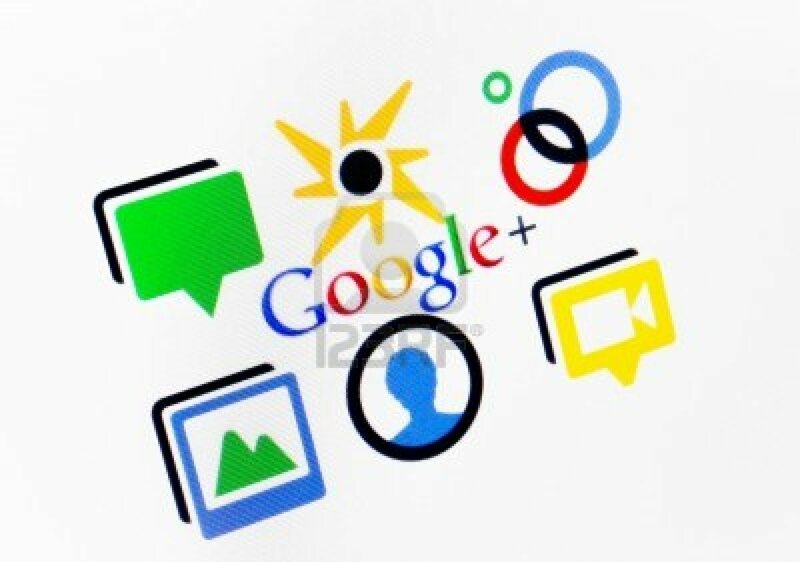 Google plus is integrated with many other useful Google products! Let me repeat that! Google+ comes with the benefits of other Google products available with it. Google Hangouts is a great meeting tool with web cam, voice, screenshare which allows users to go on air or not. Google Docs is also integrated into Google+ with its Google Drive app integration. This allows for sharing docs in live time. You can record and publish your hangouts which goes to your Youtube channel. Countless API integrations for other programs are available on Google hangouts such as Slideshare and the Lower Third App to jazz up your hangouts for aesthetic and functionality purposes. SEO is the biggest integration with Google plus: As users +1 comments, articles, pictures, pages and any other media you can +1 on Google+, these +1s help rank those media in Google’s search engine. Google’s genius engineers having created something spectacular here. While much of the beautiful technology they built is not understood by the public or many tech blogs, Google+ is changing SEO forever and for good. Things like Google Authorship (your blog links connected to your Google plus account) prevent content hijacking and protect your brand and ranking. Developers are using Google+ API to bang out great plugins whether it’s for Hangouts, your website, and many other things most people cannot wrap their heads around. Google Analytics is showing more and more integrations with the Google+ platform. Traffic will never remain a mystery as the story of analytics is told more clearly to its webmasters around their Google plus efforts. Google Photos neatly integrates Picasa Albums into your Google+ experience. It keeps all your photos organized, allowing you to control what you share with whom (maintaining some of the Google+ Circles sharing effects here). Google Pages are branded pages that people can follow or create here. Google Events allows planning, inviting, and joining others’ events whether it is online or offline. It is integrated with Google Calendar. What a winner here! Who can say that this is not a business tool? Google Local and Google Explore allow for a more dynamic Google plus experience by introducing users to things they may be interested in. We all knew that a healthy part of social networking was it’s offline mode as well! +J.C. Kendall - speaks technology truthfully with TekPersona.ca, a top engager on Google+ but with great value content as well. He has years of experience in the tech world and hits the nail on the head with his tech insights. +Jesse Wojdylo - understands all the bells and whistles of Google+ so well, he is will sharing to share the experience with others. +Ronnie Bincer - who is lovingly called “Mr. Hangout” and has great video tutorials on how to take hangouts to the next level for your brand. +Nima Jacob Nojoumi – Last but not least, Nima is someone I’ve followed through the ages of my social media career. My first gig with him paved the way for me at places like Mashable. Nima’s site Nima.Co has a plethora of domain investing, SEO, marketing and branding tools for entrepreneurs. Nima writes highly accurate articles for absolutely $0 to share with his readers! Think Google+, think SME: The biggest thing of all is that Google+ allows you to remain a Subject Matter Expert in the right way. The crowd is much smarter here so you can’t put the wool over their eyes. For any Google+ user that is serious about building their personal or professional brand, it’s time to build it on this network. With the right research of your subject matter, the right attitude in helping and enriching the community and your circles, you rank better on Google+. You have a practical network vs. streams of useless likes and content that won’t get you anywhere with your business. [Citing my sources here I learned this from talking to +Nima Jacob Nojoumi, +Jesse Wojdylo, +Mark Traphagan, and +J.C. Kendall who are all wonderful friends on Google+]. Engage and converse with people on Google+ : The list I shared with you above of some of my favorite Google+ users are actually gems. They provided priceless engagement, knowledge, and a friendly interaction that keeps me coming back for more! Google+ for knowledge: Believe it or not, Google+ can be used for learning and keeping track of information you are interested in, researching on etc. It’s all about surrounding yourself with the right people and continuing to engage with the people you trust. You’ll be ready to quit random streams of social feeds in no time. Google+ is not Facebook: There are fantastic conversations going around here. If you think of sending out messages that are random, short, unclear, or plain annoying, you’ll be uncircled from here quicker than you know. Join Google+ with the right mindsets, be respectful of the people whom you engage with, and more importantly know with whom you are talking to. If a user embraces thoughtful comments and conversations on threads they participate in, a message like “Hey wud up?” will only get you quickly blocked. Build Google+ into your business toolbox: Whether you may want to passively read or actively engage, start getting accustomed to Google+. Practice for 15 minutes a day during lunch break. Learn to maneuver Hangouts easily. Things like Google Hangouts with Google Chat integrate so seamlessly that you have a free VoIP service you may have been overlooking. The best way to to stop overlooking the features Google+ has to offer you is to start learning and practicing the platform. With too many incentives for business and personal use, it’s too hard to walk away! Great article, this only makes certain I and everyone else needs to be using Google+ for business use. Thank you.